I have only been part of the Next Blogger Network for a couple of months, so you can imagine my excitement when I was informed that I'd been chosen as their Blogger of the month for March! I really enjoy creating my posts for the network, and being a huge fan of Next (both clothing and homeware) I am always falling in love with new products and including them in my wish list posts. You can find the little interview I did here! Thank you to Steph and the team for choosing me. Speaking of Next, I have a lovely new top to show you, which was a treat from my lovely mum! 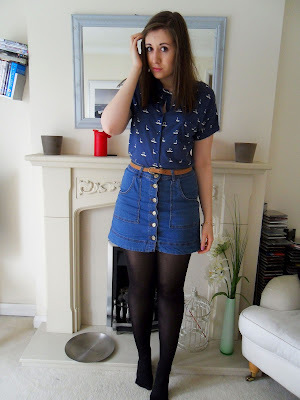 It is a tie hem shirt, but rather than wearing it the usual way, I decided to tuck it into my denim skirt, and use a pearl necklace to pull the collar in, to give it a different look. 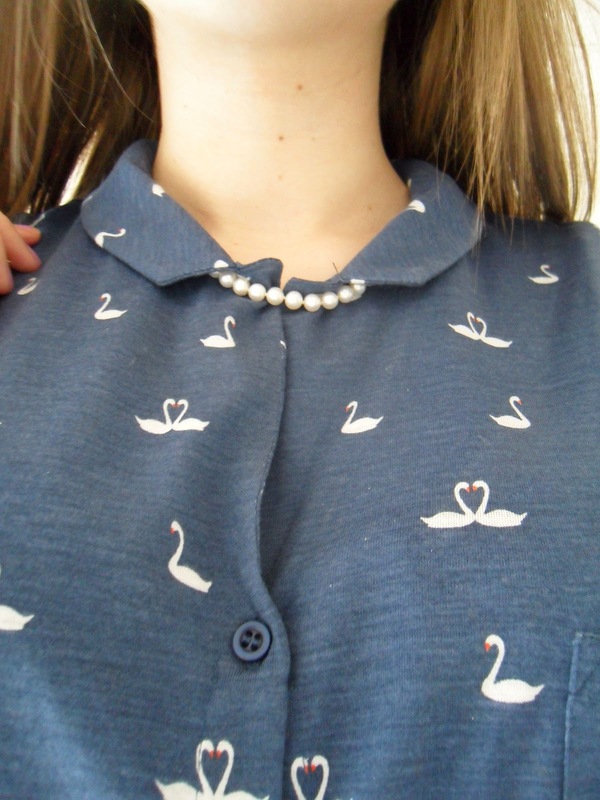 I absolutely adore prints, and can't get enough of the cute and quirky swans on this shirt! I have a very busy day tomorrow so it's likely that I won't get chance to post. I'm going on a trip to Banbury to interview Adoption UK for my documentary which is both exciting and nerve racking! I will be posting over the weekend though, and may even have 'new hair' to show you... if I'm brave enough to dye it. Every so often I feel the need to make a change in my appearance, I can feel it coming! Love the swans and Congrats on being featured as the blogger of the month! 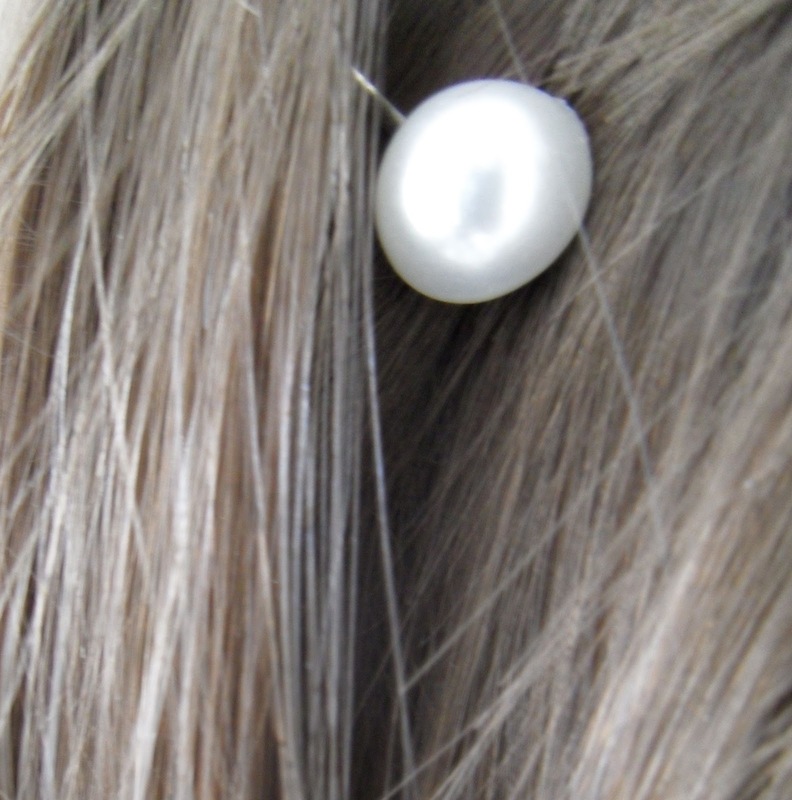 You have a gorgeous sense of style. Congratulations on the next top blogger award your blog really is lovely! !